I am finally done! 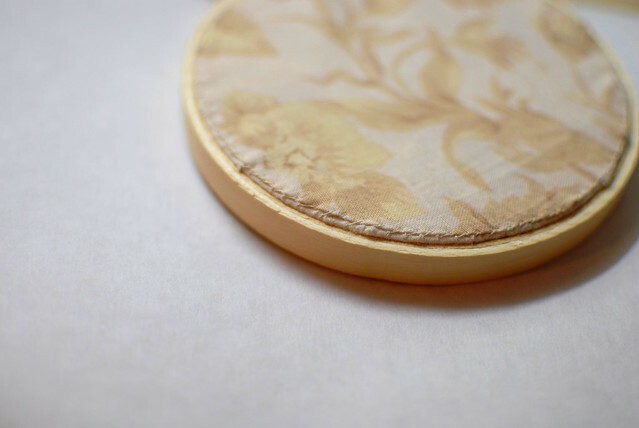 This little one, only 4 inches wide, is for Wild Olive's Stitch Swap! 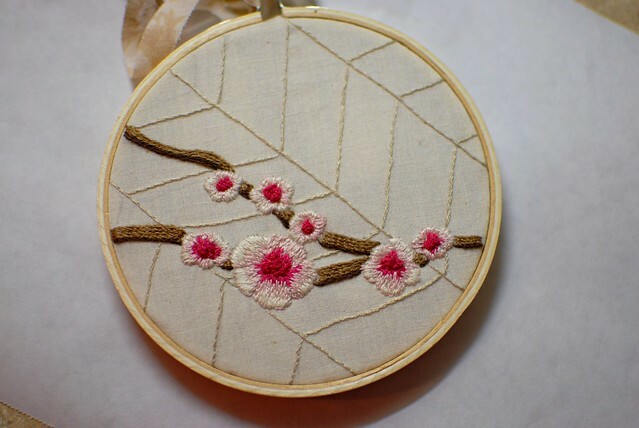 This is my own design...cherry blossoms on branches. Living in the Washington D.C. area, I couldn't resist doing cherry blossoms. I've never actually been to the cherry blossom festival down by the river, and I think I might be very allergic to these little guys. But I love the pictures the papers and magazines come out with each year. The pinks and brown combo is one of my color palette favorites. 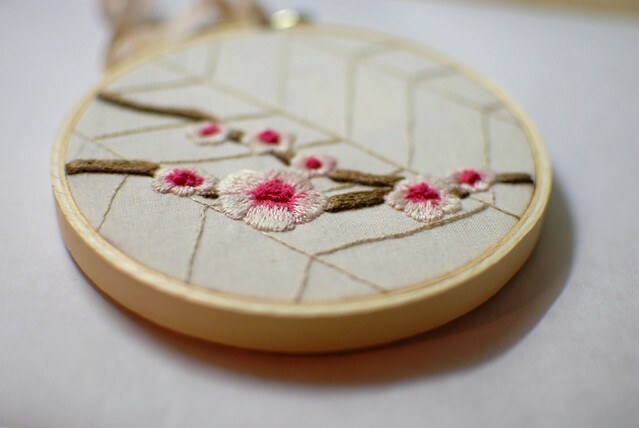 I did a lot of Internet research for this one, but I didn't find too many embroidery designs with filled petals. Lots of outlining, which I guess is kind of what embroidery is mostly about. 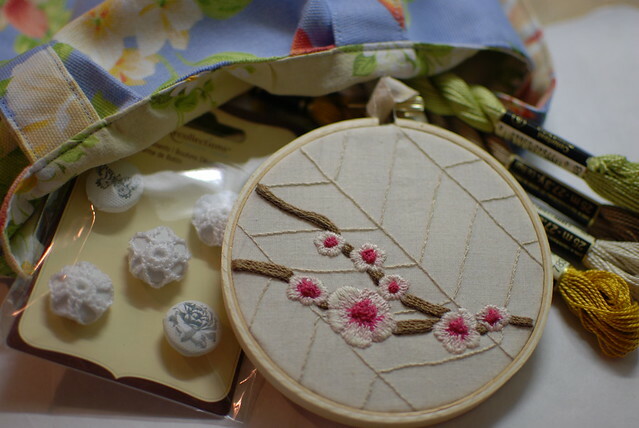 But I wanted some pop, some color, and with the help of this wonderful, gorgeous, fantastic site, Needle N' Thread, I managed to do a beginner job at some shading. It came out "okay" in my opinion. Yeah, pretty good for a beginner. ...and a few more fun tid-bits to tuck in that package to my secret recipient. I hope she likes it! 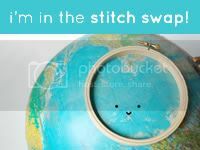 If you are interested, here is the Flickr link to the other stitch swaps everyone else in the group put together. They are really cute! Molli from the blog, Wild Olive, is the host of this wonderful endeavor, and she hinted that there will be another embroidery swap in the fall this year! So if you are interested, stay tuned to her blog!